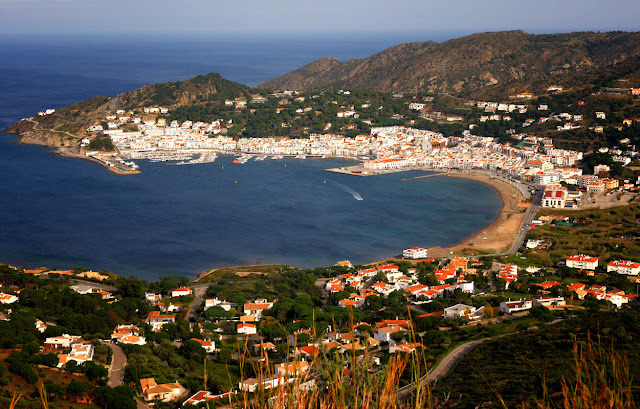 Even in November this natural harbor along the rugged coast of Costa Brava remains inviting with all the white houses down in the center of the town and by the beach. It is just too bad as the town is almost empty of people in this off season periode. In this part of the coastline the mountain masses drop drown to the sea in sheer cliffs, majestically impressive and rugged, forming de Cap de Creus with the islands of Massa d’Oros and L’Encalladora before them.